Description: Business Runs You business controller. 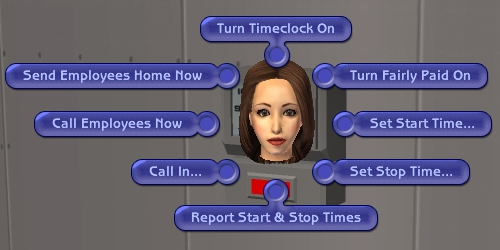 Description: A clock that allows you to set work hours, manage wages and call in your employees. Description: A mod that allows you to hire family members. Description: This fix will credit the owner of a business 5 simoleans each time someone plays an arcade game. It only does this on business lots. The money is not deducted from the bank account of the sim playing the game. Description: Non-selectable sims will no longer have goods they buy in their inventory while the business still makes money. 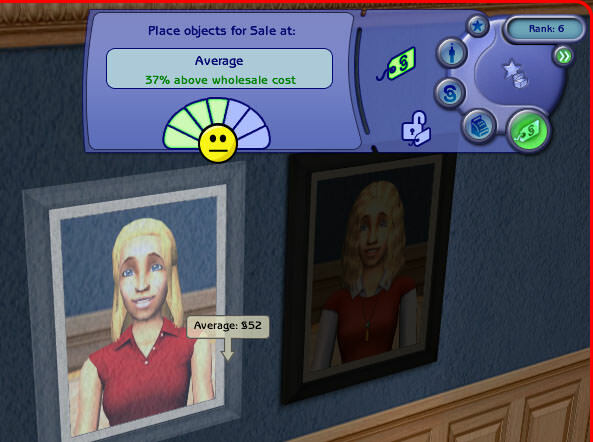 Description: Sell Photographs at your Businesses for more than §2. Description: Customers in player-owned stores will always leave after buying something. Description: Prevents your employees from using any sales interaction other than Basic Sell. Description: Prevents townie inventories from getting cluttered with junk from your stores. When a store sells an object to a non-playable character (townies, downtownies, etc.) 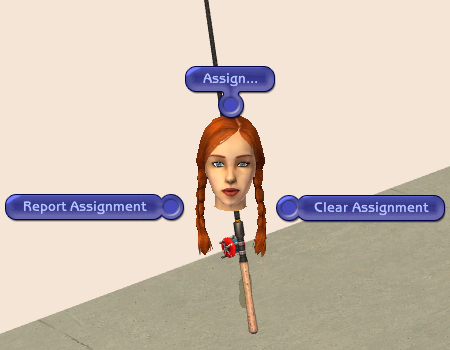 the object will disappear rather than being put in the townie inventory. Playable characters will receive the objects in their inventories as normal. Description: This controller allows you to assign an OFB employee to fishing. The fish the employee catches will show up in the business owner's inventory. Description: Hire masseurs and open massage business.